Our Rottweiler kennel has been waiting a long time for a puppy from Lenz von den Hassberghohen. 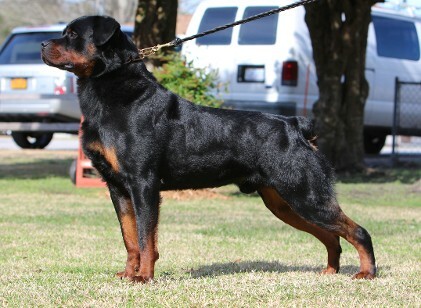 Lenz von den Hassberghohen is world famous and 100% German ADRK bloodlines. Lenz was purchased by a kennel in Italy and then reciently sold to a Rottweiler kennel in China. Lenz is a large robust male with excellent structure and amazing temperament. Lenz has achieved his BH AD & IPO III, along with the Gekort, that is the highest achievement in Germany. 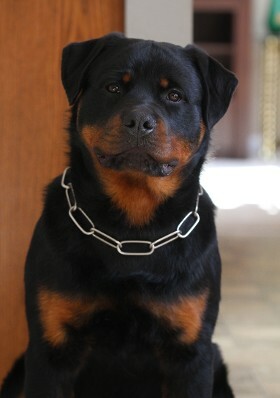 Lenz was the 2010 Auslandsieger in Italy, CAC best male competing against 150 Rottweilers, and multiple V1 rated. We hope our new Rottweiler puppy has the beauty and temperament as Lenz. 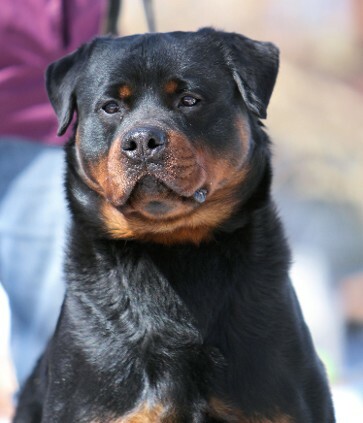 This may be the last litter known in the USA from Lenz, we hope there will be more litters to come from this outstanding Rottweiler to further his bloodline. Not only did our puppy come from a outstanding male, Deuel's mother Bonita vom Wilden Westen is world known also winning the ADRK Klubshow V1, Anw. Dt. VDH Auslandjugendsieger 2011, best foreign female, 2011 ADRK Vice Bayernyugendsiegerin only to name a few. We own a Rottweiler female from the same mother named Busa vom hause Harless. Deuels hips were checked on 01-20-2014, Hips submitted to ADRK September 15, 2014 results show Excellent. 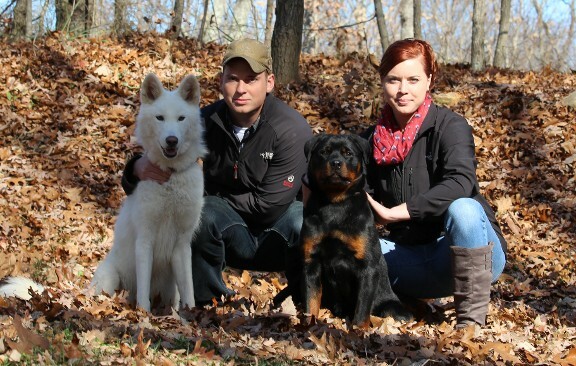 The picture to the left is Deuel vom hause Harless at 6 months and 1 day old. The picture was taken about 3:00 pm, the sun durring this time shows the closest and correct color of your dogs markings. Deuel is a beautiful rich red and dark mahagony. Deuel is very muscular for his age and also has great bone size and width of chest. 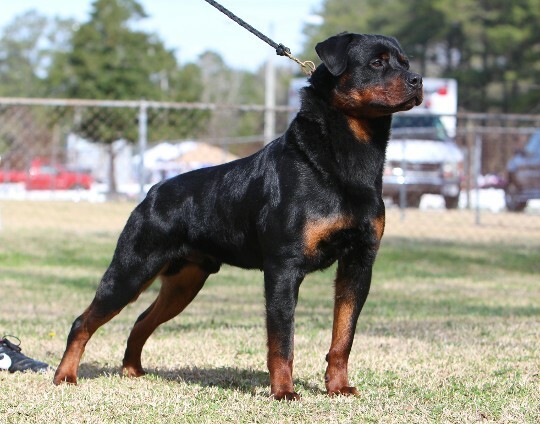 Our kennel cannot wait to see this outstanding Rottweiler puppy grow up and produce himself.